It has often been said that when the legend becomes fact, print the legend. 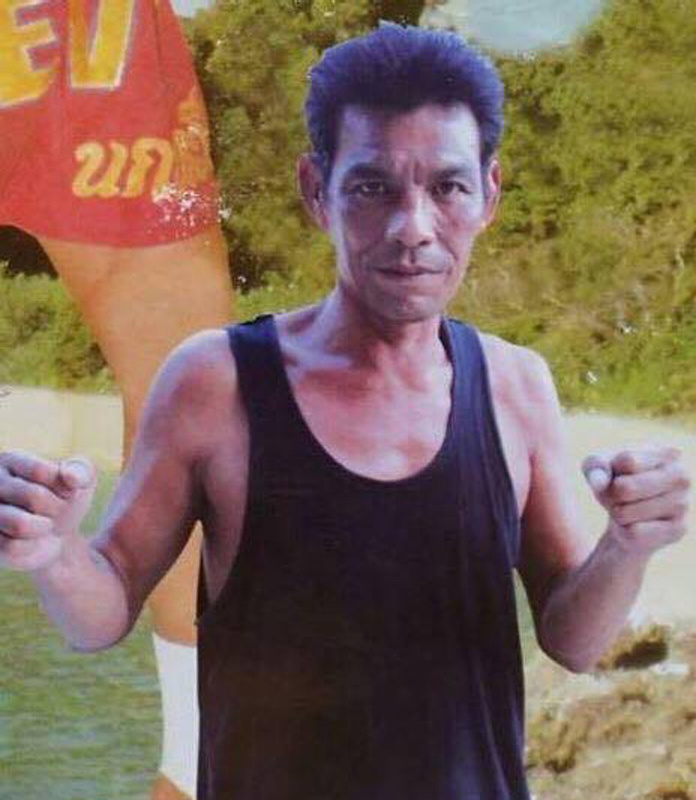 But you don’t have to embellish the life story of Wichit Somboon, aka Nokweed Davy, the legendary Muay Thai champ and trainer who died suddenly last week at age 51 in Thailand. Like a million “nak muay” (Thai boxers) before him, Nokweed Davy came from a background of grinding poverty that makes Charles Dickens’ Oliver Twist look privileged. Born and raised in Nakorn Si Thammarat, South Thailand, Nokweed started boxing at the age of 7 and battled his way to the top of the fight game in the 1980s and 1990s to become one of the biggest draws in the professional sport. A three-time Rajadamnern champion in three different weight categories, he also held the WMC 147llb title and fought oversized opponents in K1 matches. With fearsome round kicks, and a supercomputer fight brain to match, his encounters with Issara Sakgreerin, Danny Bill and Jeff Ortzow, to name but a few, are still much discussed and examined by fight aficionados and other armchair experts. In and out of the ring, Nokweed Davy made a huge impression on those who knew him and those who fought him. Eden Donal (aka Pinky), still winces at the memory of Nokweed’s low round kicks. He wasn’t the only one. Faisal Zakaria, then an up-and-coming fighter at Rompo Gym, fondly recalls the bout he had against Nokweed. And those pesky leg kicks. “Mr. Pek, my handler, told me that I was going to fight someone called “Nokweed.” I didn’t care about his name and I didn’t care about his 250-fight record either. When Mr. Pek warned that he might knock me out, I laughed and told him, “No one can knock me out and make me sleep because I’m crazy, strong and fast.” I knew that you couldn’t be a champion unless you fought one. I didn't really care and I wasn’t even scared. “In the days running up to the fight, my team constantly worried about me. They knew Nokweed Davy and I didn’t. But I was strong and made weight at 73kg. Our fight was the last one of the night. The first round was a draw. The second round was much stronger. I could feel that this old boy was dangerous and that he could really hurt me. I felt the pain from those low round kicks and it was like nothing I had ever known before. All my heart and attention went to that pain and I started to lose concentration. He went for a high round kick to the head and I went to sleep for a dangerously long time. I remember waking up hours later in the hospital and wondering how I got there. I smiled and laughed heartily to myself. Despite 312 bouts and his fearsome reputation in the ring, Nokweed Davy remained a strong silent type who never really talked about himself, nor less boasted. 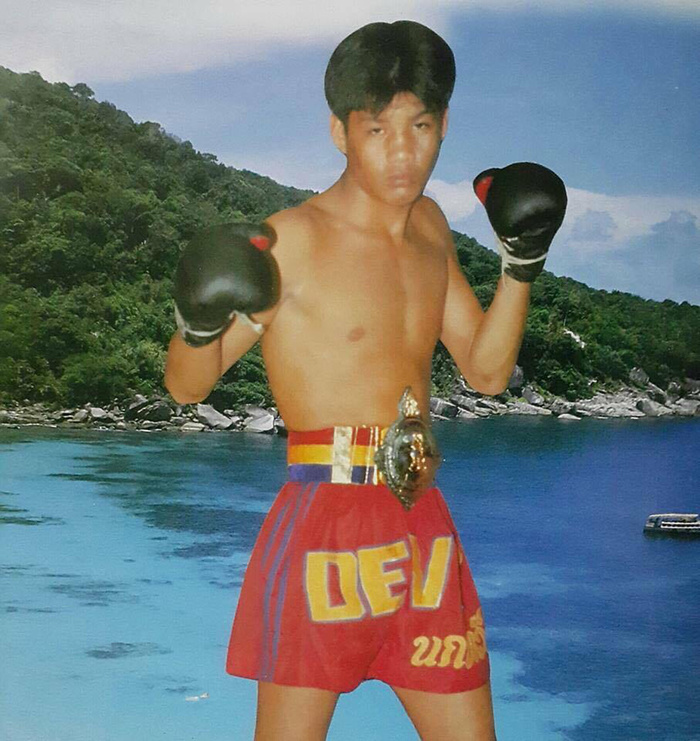 Kevin Siam, the stalwart Muay Thai correspondent for Siam Fight News, remembers him as much. Back when he was a superstar boxer, there were quite a few personal issues that got in the way of fighting. Nokweed Davy’s youthful eye for the ladies got him into trouble, and a female admirer once stabbed him in the boudoir after a row worthy of a soap opera on Thai television. Ever the sportsman, this inconvenient wound to the mid-section didn’t stop him from pulling out of fights. As Shuki Rosenzweig, who fought Nokweed at the time, remembers well. Some details of his life are worthy of a pulp fiction novel. In a dispute with a taxi driver, Nokweed Davy settled the matter with a rocket propelled left round kick to the cabbie’s head, killing him instantly. Whilst in prison, the Muay Thai game suffered much for his absence and the Thai mafia allegedly bailed him out of the infamous Bangkok Hilton to fight in a series of lucrative bouts—Nokweed Davy got his freedom, so the story goes, in exchange for taking a dive or two. Despite having run-ins with more gangsters than a character in an Ernest Hemingway story, Nokweed Davy was too stoical to complain, too modest to boast, too honorable to snitch. Aged 40, he retired from boxing and became a trainer of thoroughbred talents like Dzhabar Askerov, Paul Slowinski (who fought Nokweed twice and beat him by knock out) and Nathalie Zoukatas. The gentleman boxer took many a secret with him but leaves his family and close friends with many fond memories. Beyond the humble boxer, beyond the crazy legend, at the end of his life he just wanted to be remembered as a “good guy.” He was more than just good. He was much, much more than that. RIP Nokweed Davy. We may never see his like again.